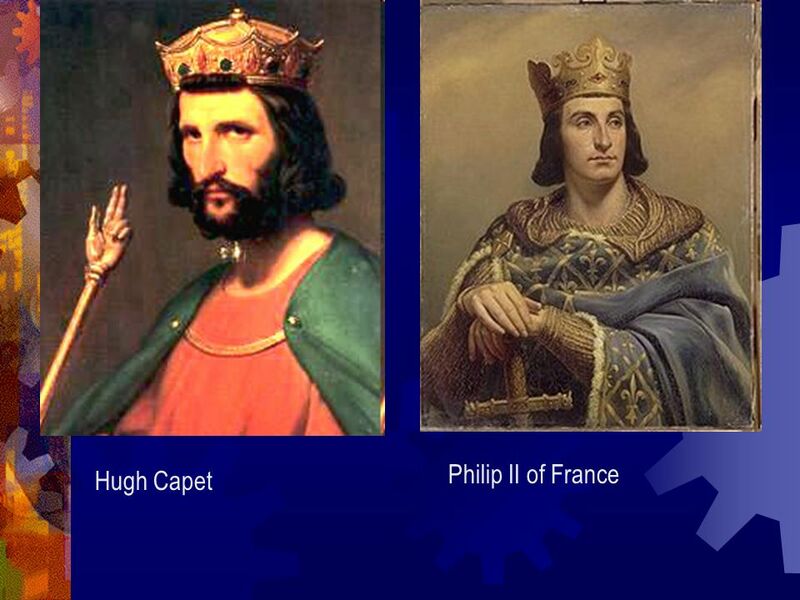 Philip II (Philip Augustus) of France He was successful in seizing Normandy from England (King John) in By the end of Philip’s reign he had tripled the lands under his direct control. 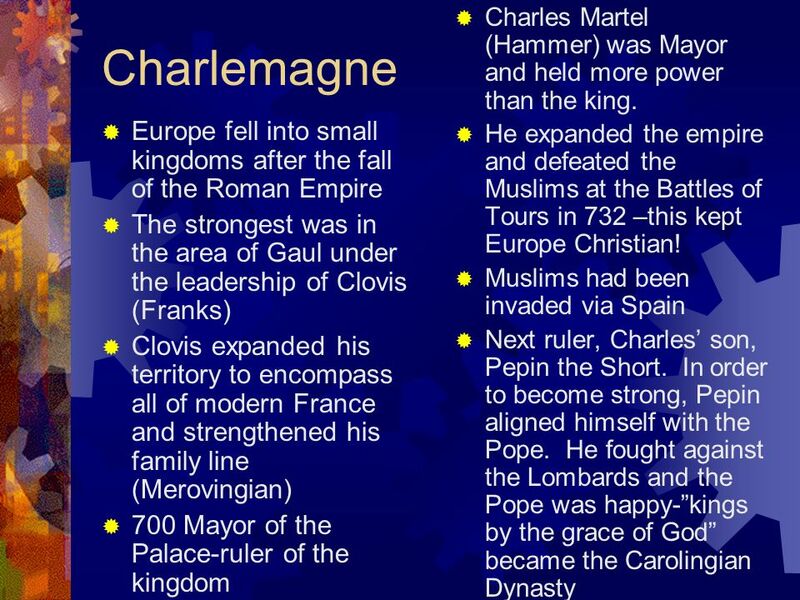 For the first time a French king had become more powerful than his vassals! 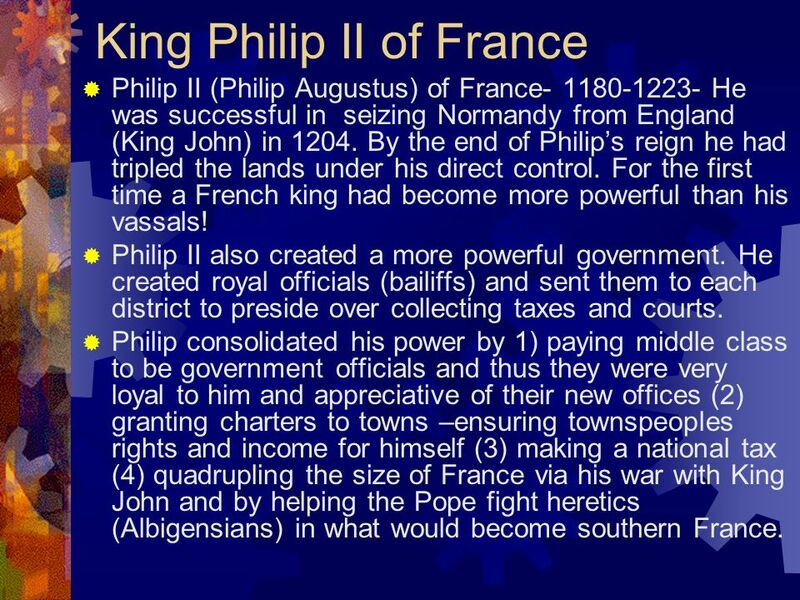 Philip II also created a more powerful government. He created royal officials (bailiffs) and sent them to each district to preside over collecting taxes and courts. 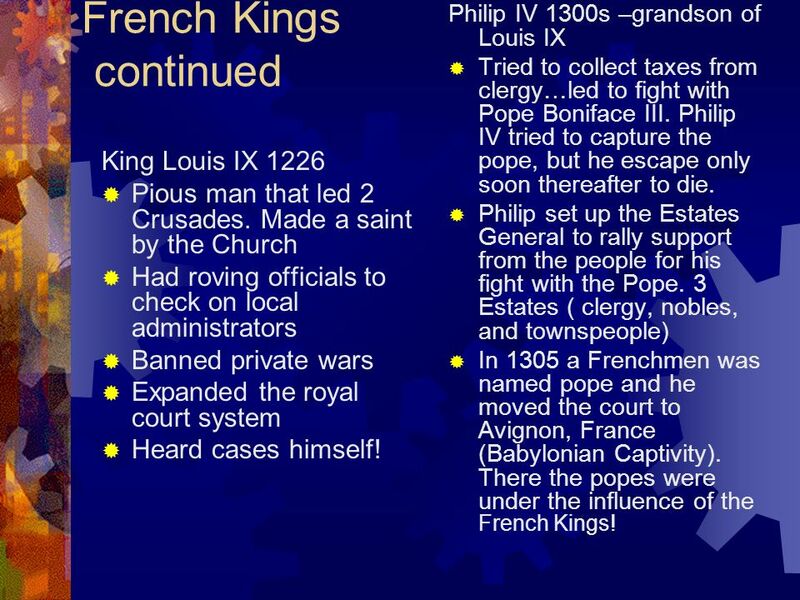 Philip consolidated his power by 1) paying middle class to be government officials and thus they were very loyal to him and appreciative of their new offices (2) granting charters to towns –ensuring townspeoples rights and income for himself (3) making a national tax (4) quadrupling the size of France via his war with King John and by helping the Pope fight heretics (Albigensians) in what would become southern France. 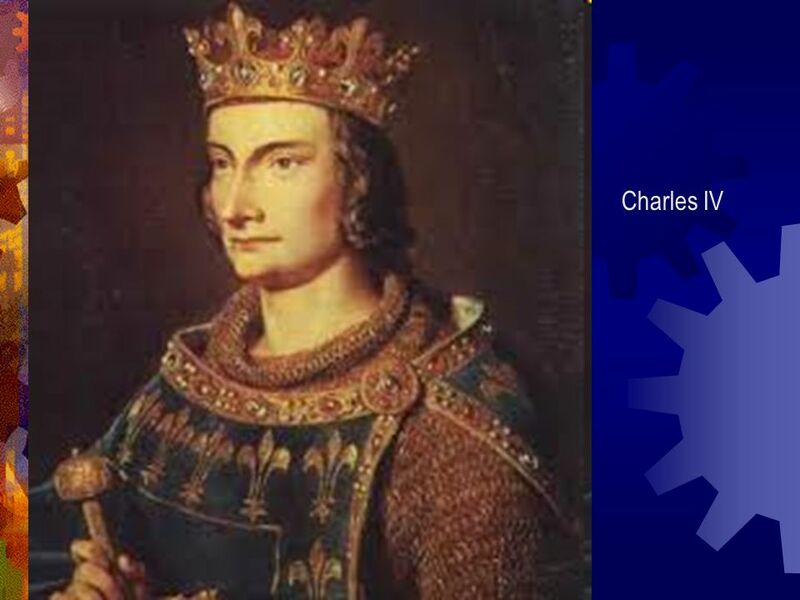 Philip IV 1300s –grandson of Louis IX Tried to collect taxes from clergy…led to fight with Pope Boniface III. Philip IV tried to capture the pope, but he escape only soon thereafter to die. Philip set up the Estates General to rally support from the people for his fight with the Pope. 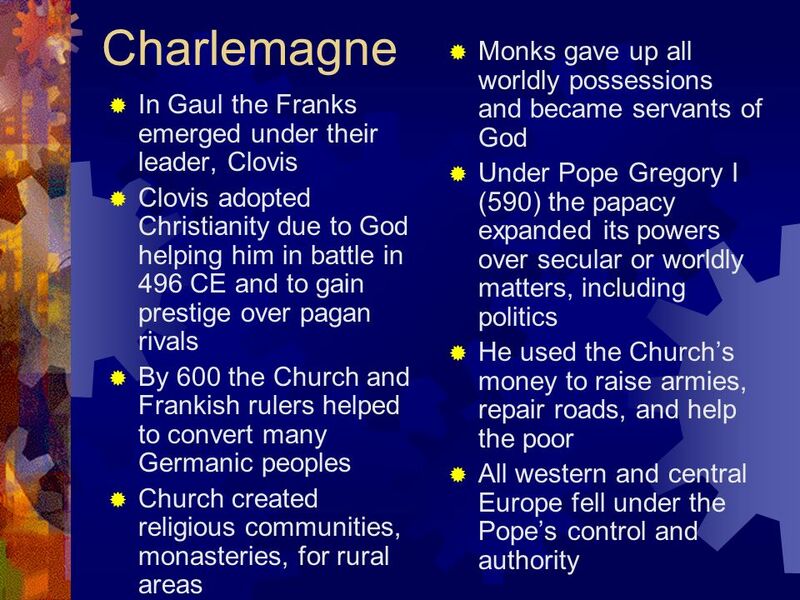 3 Estates ( clergy, nobles, and townspeople) In 1305 a Frenchmen was named pope and he moved the court to Avignon, France (Babylonian Captivity). 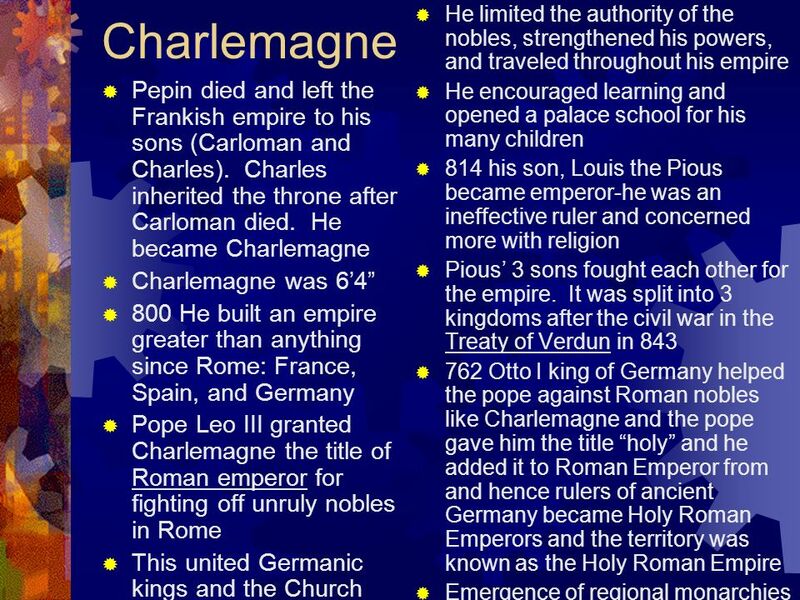 There the popes were under the influence of the French Kings! 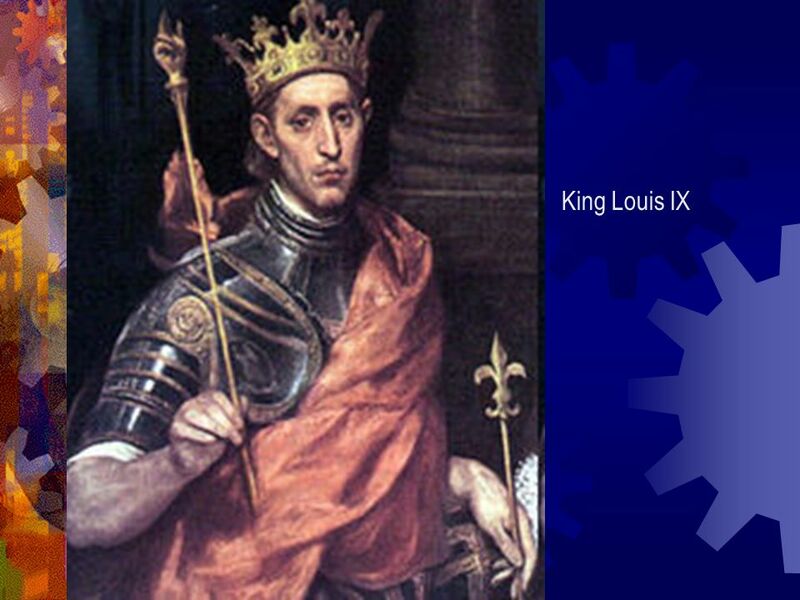 King Louis IX 1226 Pious man that led 2 Crusades. Made a saint by the Church Had roving officials to check on local administrators Banned private wars Expanded the royal court system Heard cases himself! 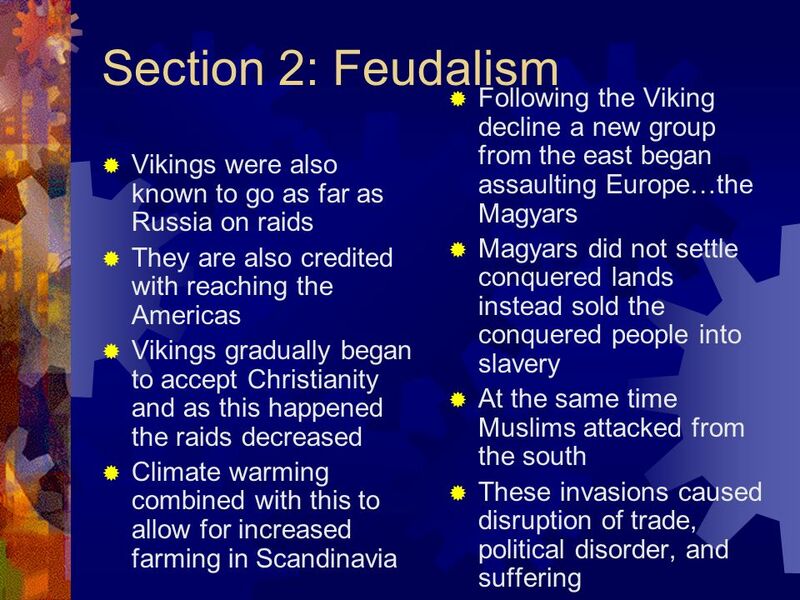 Many invaders…came up with new prayer “God deliver us from the fury of the Northmen” (Vikings). 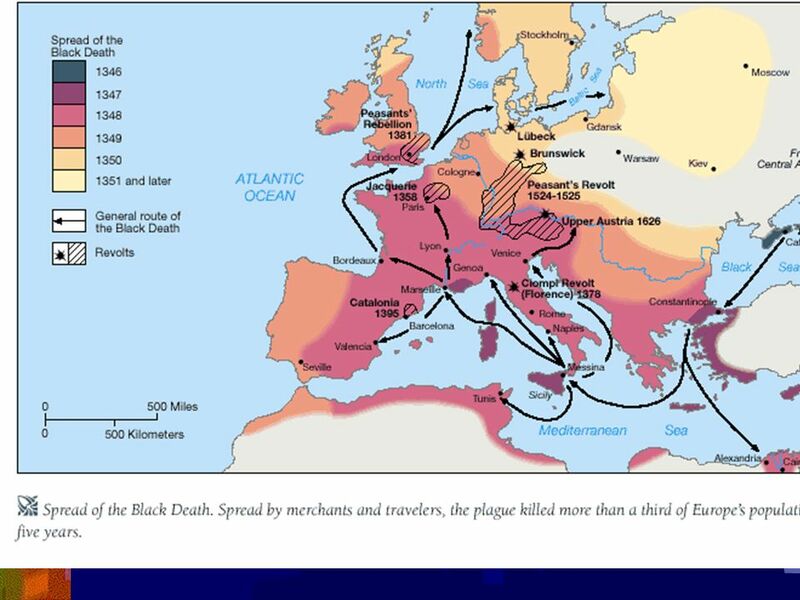 Only happened after Alfred the Great ( ) managed to turn back the Viking attacks. 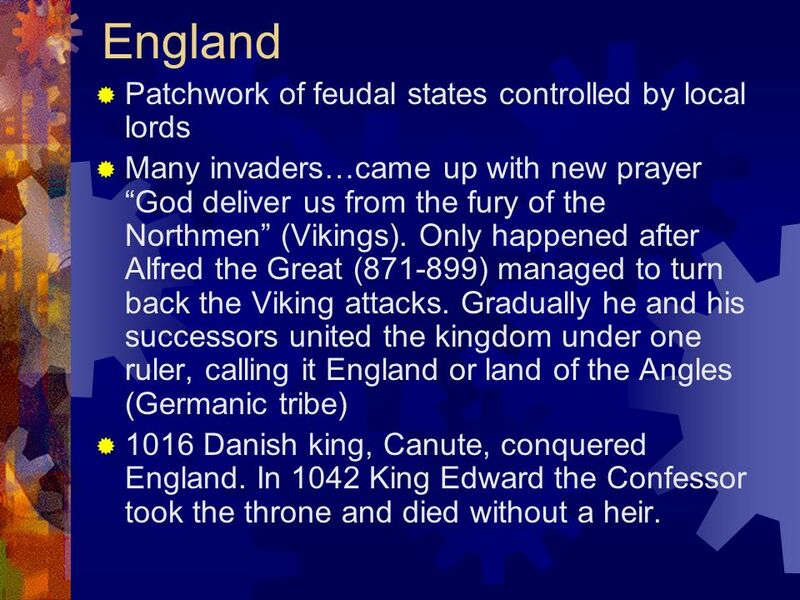 Gradually he and his successors united the kingdom under one ruler, calling it England or land of the Angles (Germanic tribe) 1016 Danish king, Canute, conquered England. 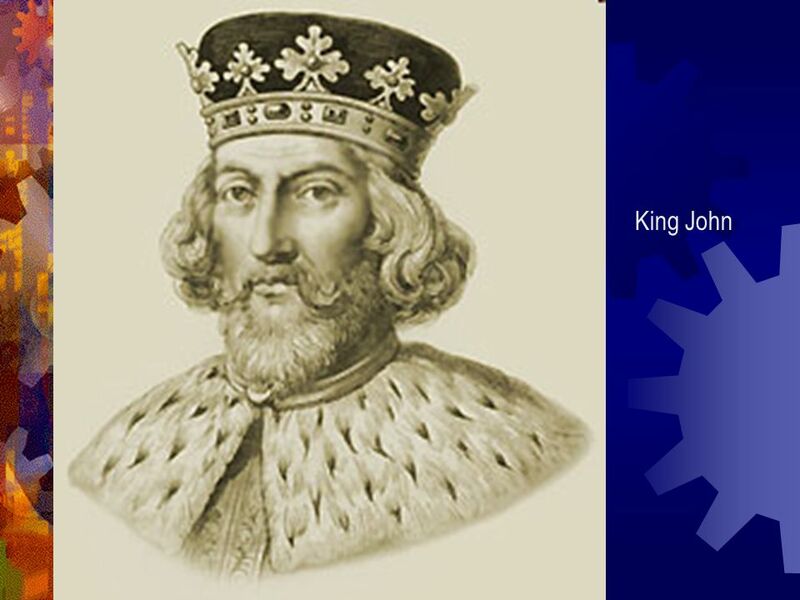 In 1042 King Edward the Confessor took the throne and died without a heir. 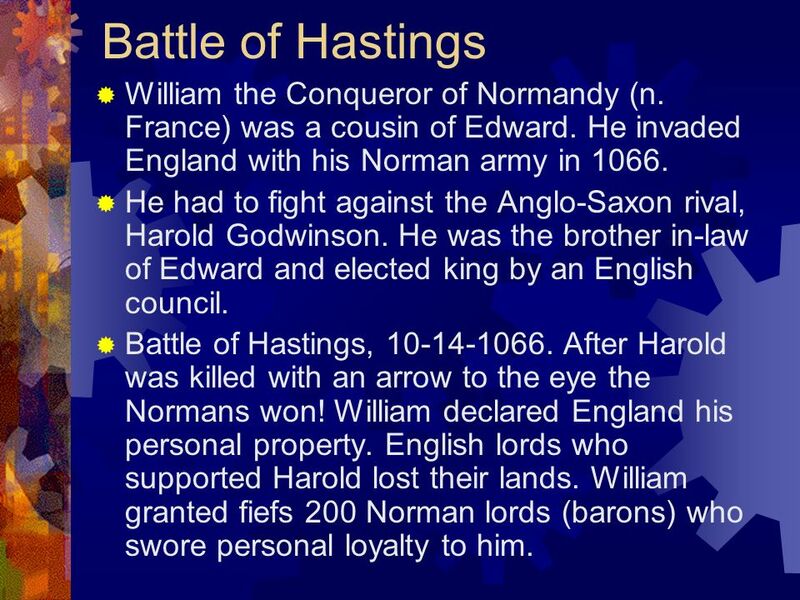 20 Battle of Hastings William the Conqueror of Normandy (n. France) was a cousin of Edward. He invaded England with his Norman army in 1066. He had to fight against the Anglo-Saxon rival, Harold Godwinson. He was the brother in-law of Edward and elected king by an English council. Battle of Hastings, After Harold was killed with an arrow to the eye the Normans won! William declared England his personal property. 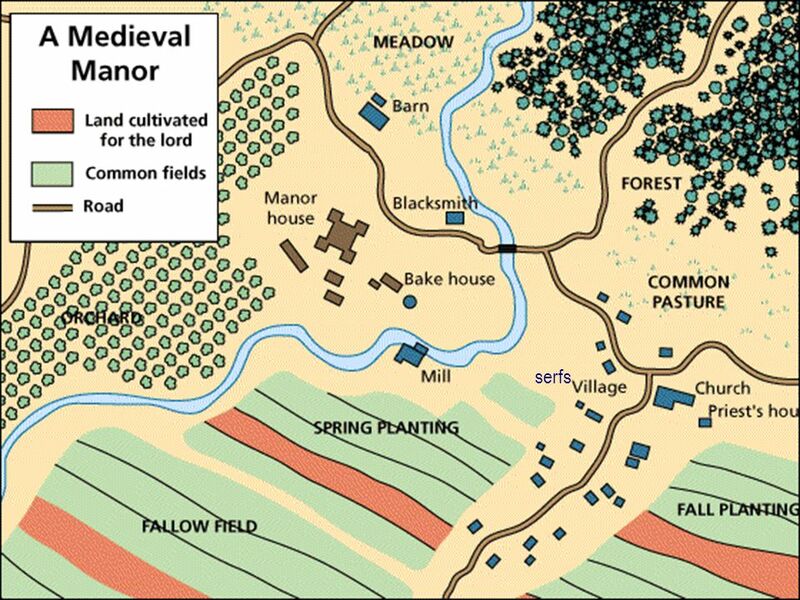 English lords who supported Harold lost their lands. William granted fiefs 200 Norman lords (barons) who swore personal loyalty to him. 22 William the Conqueror Consolidated his power by (1) granting fiefs to loyal nobles. 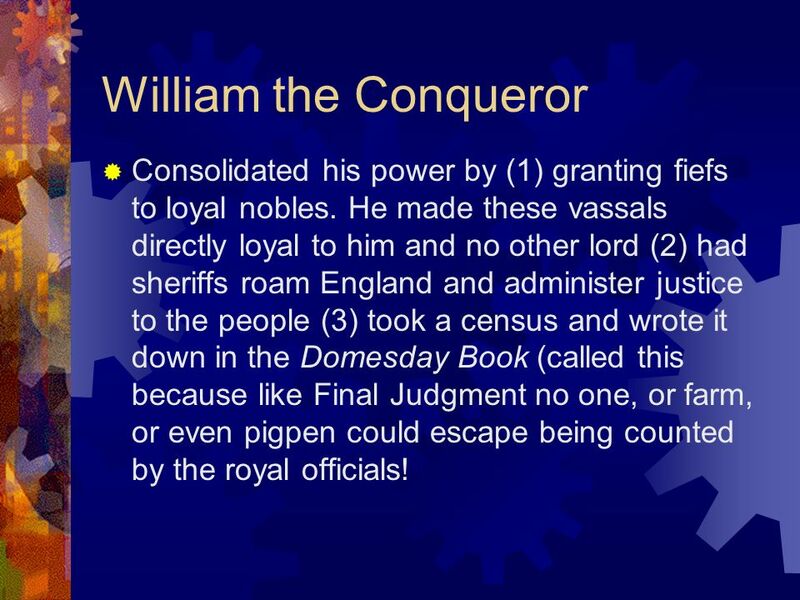 He made these vassals directly loyal to him and no other lord (2) had sheriffs roam England and administer justice to the people (3) took a census and wrote it down in the Domesday Book (called this because like Final Judgment no one, or farm, or even pigpen could escape being counted by the royal officials! 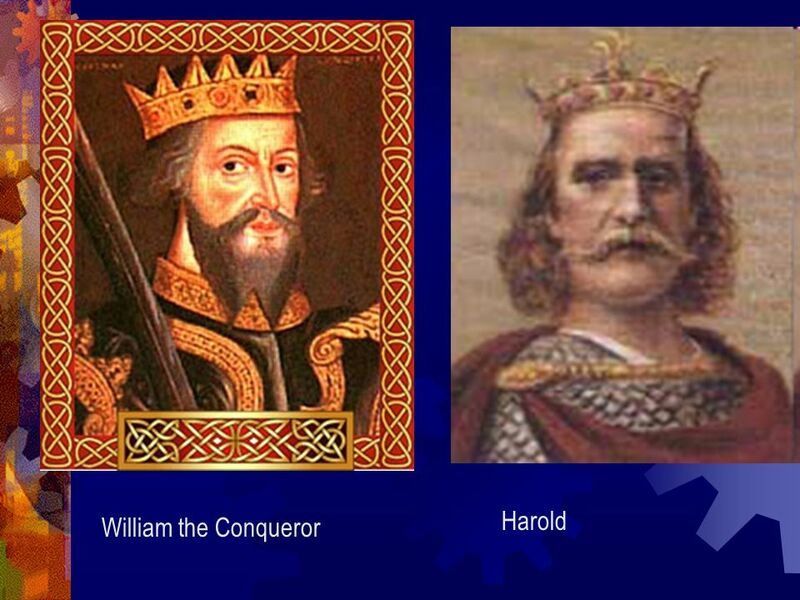 23 England William the conquerors successors owned lands of England and Normandy. 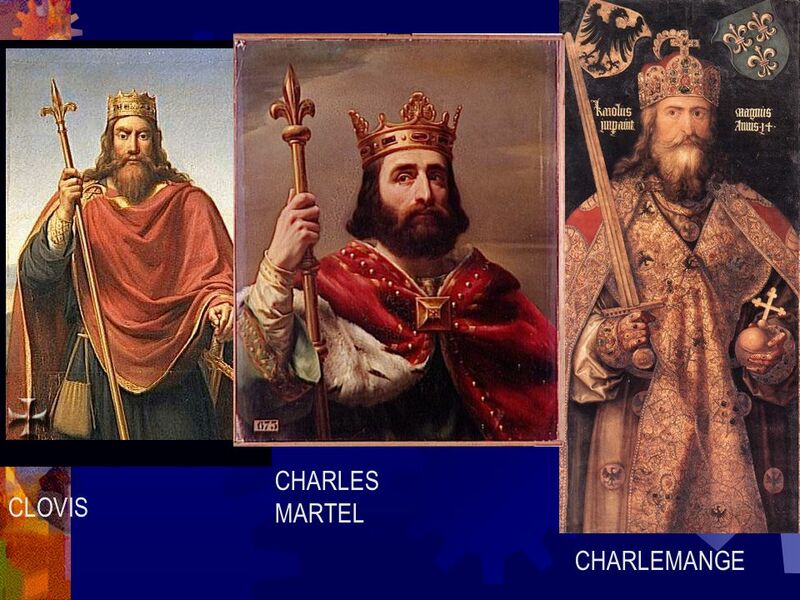 Many considered the French Kings to be vassals to England. 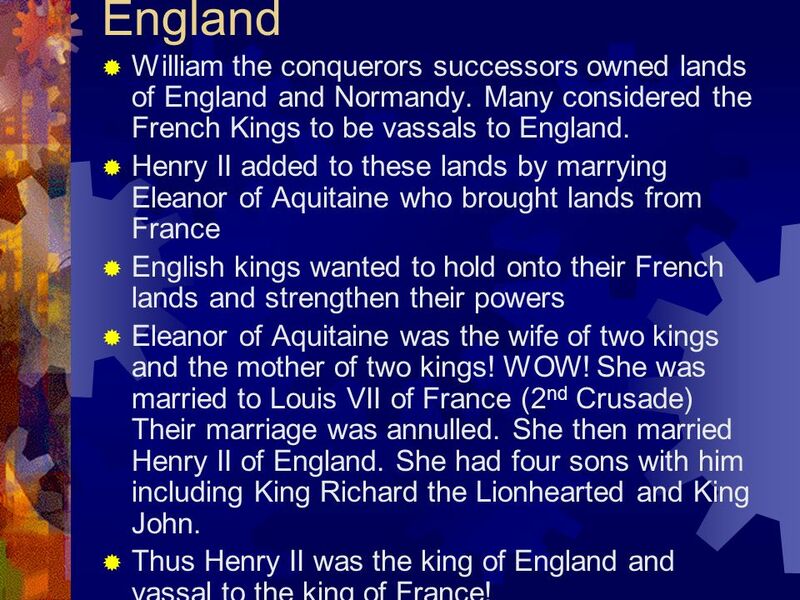 Henry II added to these lands by marrying Eleanor of Aquitaine who brought lands from France English kings wanted to hold onto their French lands and strengthen their powers Eleanor of Aquitaine was the wife of two kings and the mother of two kings! WOW! She was married to Louis VII of France (2nd Crusade) Their marriage was annulled. She then married Henry II of England. She had four sons with him including King Richard the Lionhearted and King John. 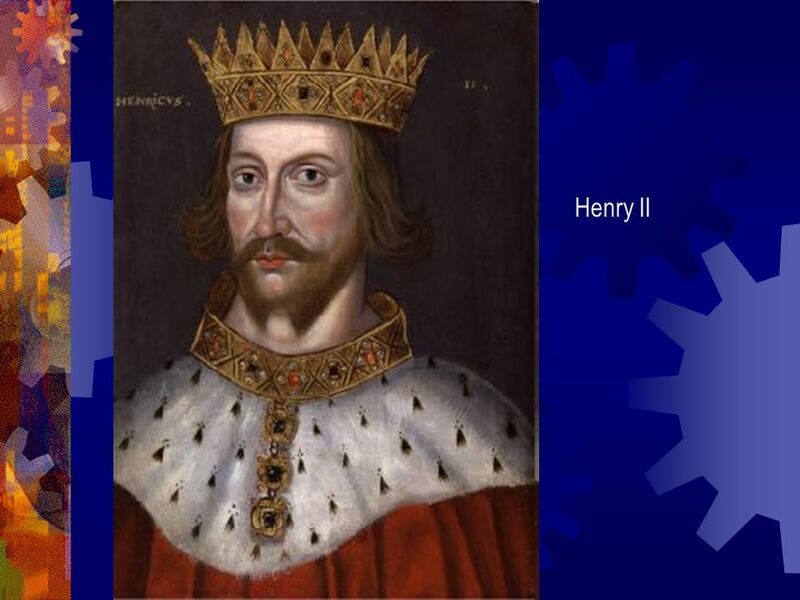 Thus Henry II was the king of England and vassal to the king of France! 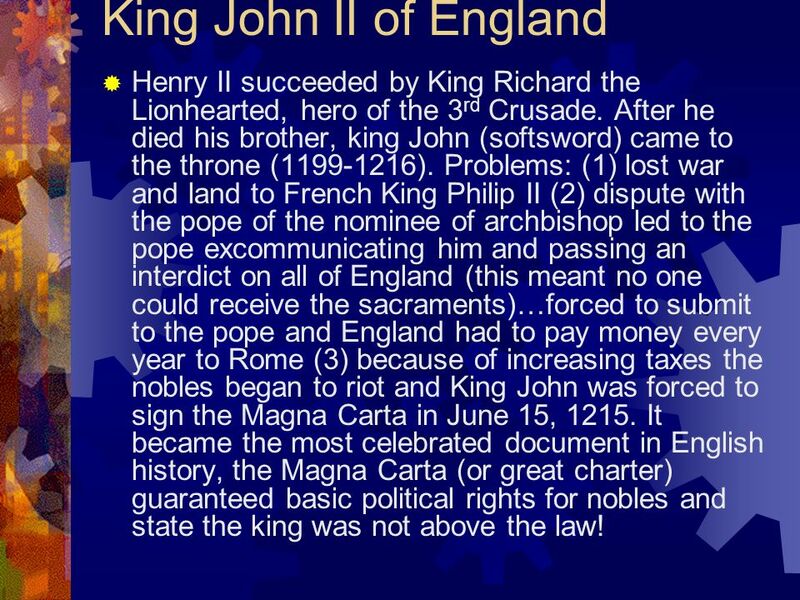 26 King John II of England Henry II succeeded by King Richard the Lionhearted, hero of the 3rd Crusade. After he died his brother, king John (softsword) came to the throne ( ). 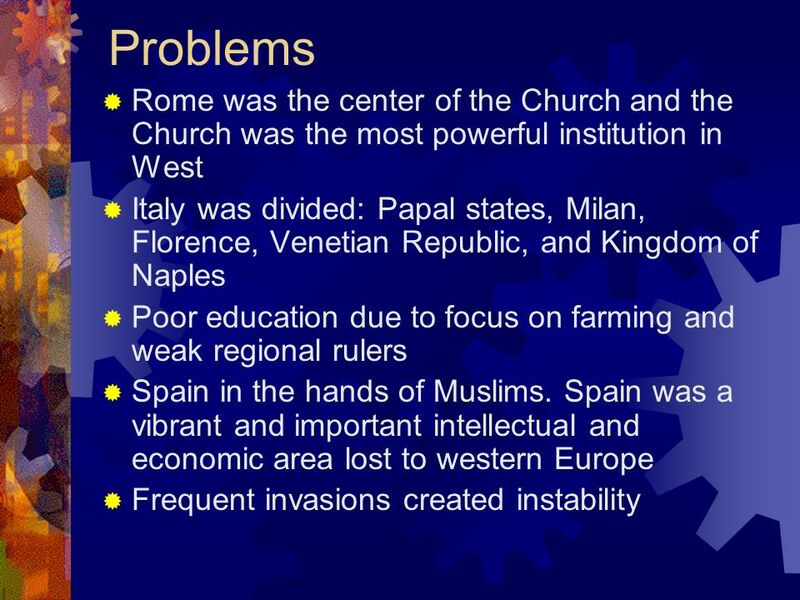 Problems: (1) lost war and land to French King Philip II (2) dispute with the pope of the nominee of archbishop led to the pope excommunicating him and passing an interdict on all of England (this meant no one could receive the sacraments)…forced to submit to the pope and England had to pay money every year to Rome (3) because of increasing taxes the nobles began to riot and King John was forced to sign the Magna Carta in June 15, It became the most celebrated document in English history, the Magna Carta (or great charter) guaranteed basic political rights for nobles and state the king was not above the law! 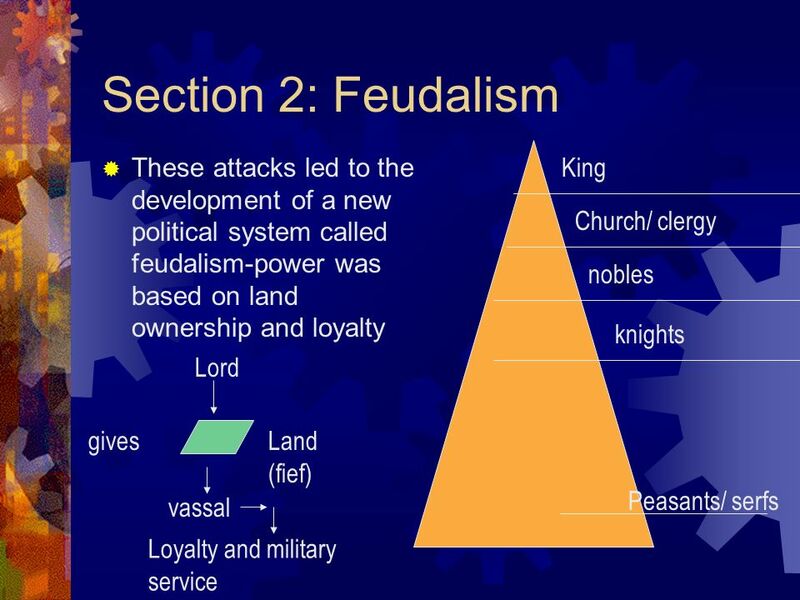 June 15, 1215 Nobles wanted to safeguard their own feudal rights and limit the king’s power. 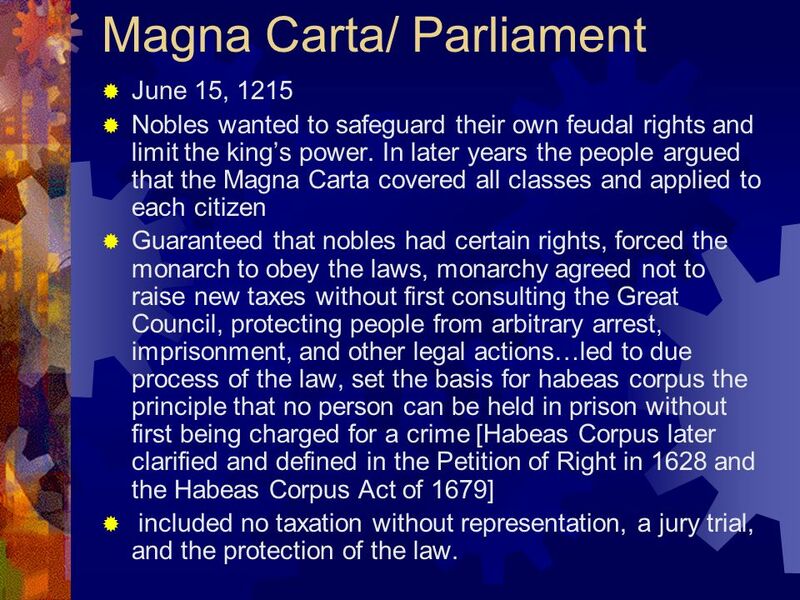 In later years the people argued that the Magna Carta covered all classes and applied to each citizen Guaranteed that nobles had certain rights, forced the monarch to obey the laws, monarchy agreed not to raise new taxes without first consulting the Great Council, protecting people from arbitrary arrest, imprisonment, and other legal actions…led to due process of the law, set the basis for habeas corpus the principle that no person can be held in prison without first being charged for a crime [Habeas Corpus later clarified and defined in the Petition of Right in 1628 and the Habeas Corpus Act of 1679] included no taxation without representation, a jury trial, and the protection of the law. 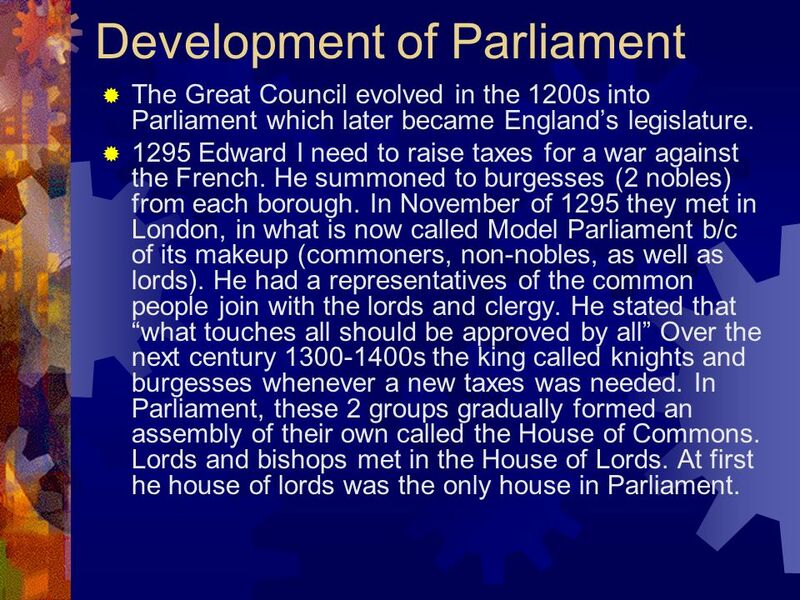 The Great Council evolved in the 1200s into Parliament which later became England’s legislature. 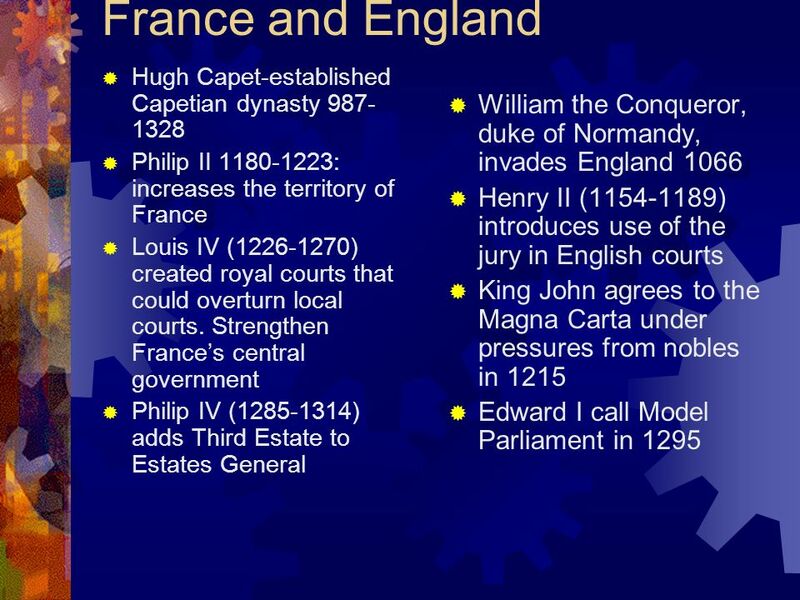 1295 Edward I need to raise taxes for a war against the French. He summoned to burgesses (2 nobles) from each borough. In November of 1295 they met in London, in what is now called Model Parliament b/c of its makeup (commoners, non-nobles, as well as lords). He had a representatives of the common people join with the lords and clergy. 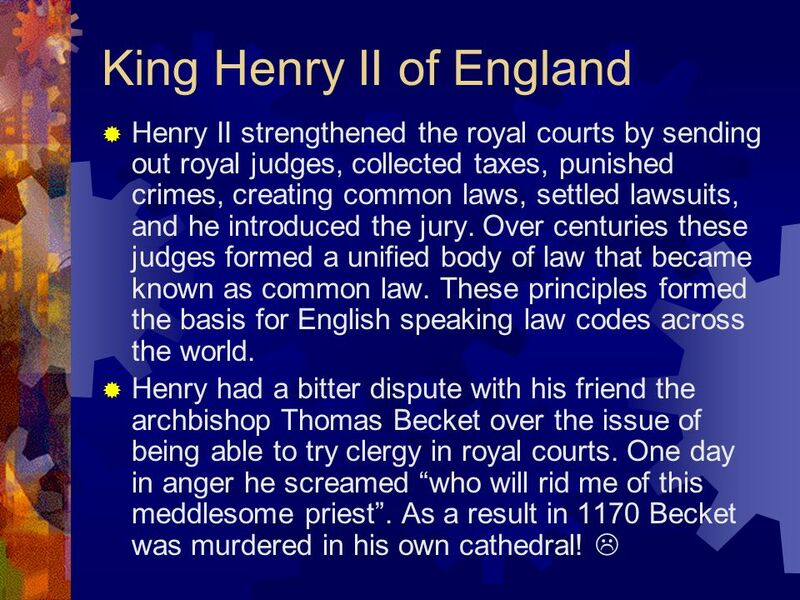 He stated that “what touches all should be approved by all” Over the next century s the king called knights and burgesses whenever a new taxes was needed. In Parliament, these 2 groups gradually formed an assembly of their own called the House of Commons. Lords and bishops met in the House of Lords. At first he house of lords was the only house in Parliament. Combining rational philosophy and religion. 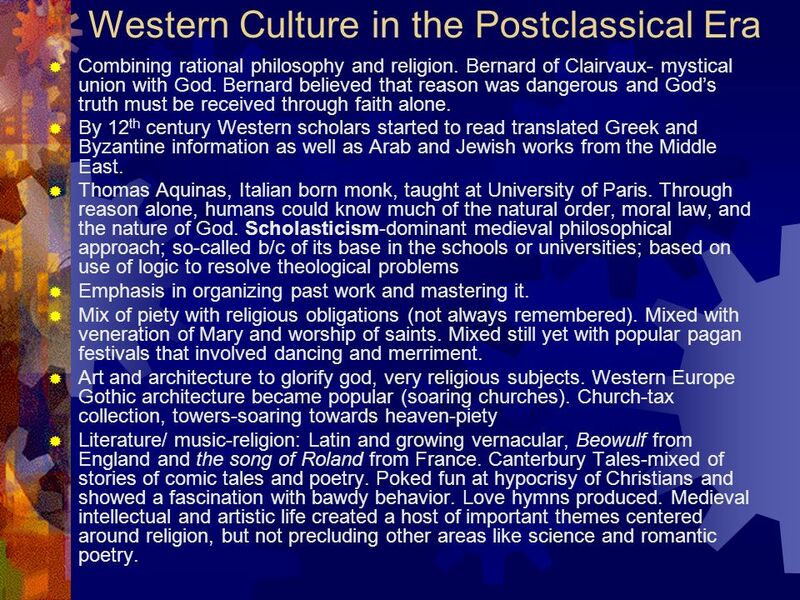 Bernard of Clairvaux- mystical union with God. Bernard believed that reason was dangerous and God’s truth must be received through faith alone. By 12th century Western scholars started to read translated Greek and Byzantine information as well as Arab and Jewish works from the Middle East. Thomas Aquinas, Italian born monk, taught at University of Paris. Through reason alone, humans could know much of the natural order, moral law, and the nature of God. Scholasticism-dominant medieval philosophical approach; so-called b/c of its base in the schools or universities; based on use of logic to resolve theological problems Emphasis in organizing past work and mastering it. Mix of piety with religious obligations (not always remembered). Mixed with veneration of Mary and worship of saints. Mixed still yet with popular pagan festivals that involved dancing and merriment. Art and architecture to glorify god, very religious subjects. Western Europe Gothic architecture became popular (soaring churches). 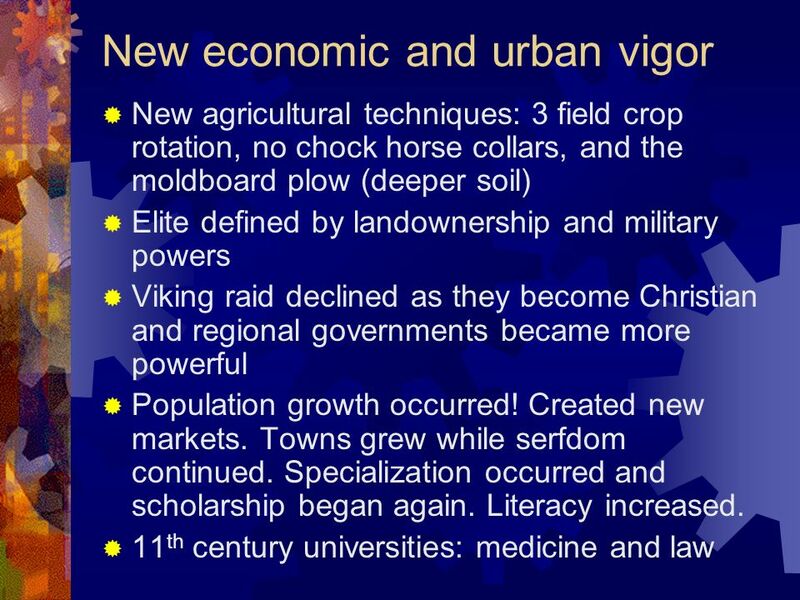 Church-tax collection, towers-soaring towards heaven-piety Literature/ music-religion: Latin and growing vernacular, Beowulf from England and the song of Roland from France. Canterbury Tales-mixed of stories of comic tales and poetry. Poked fun at hypocrisy of Christians and showed a fascination with bawdy behavior. Love hymns produced. 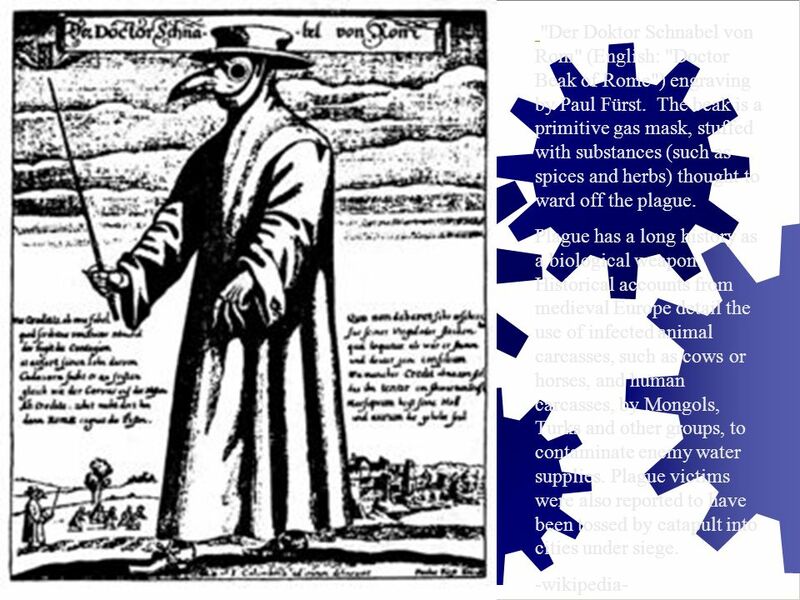 Medieval intellectual and artistic life created a host of important themes centered around religion, but not precluding other areas like science and romantic poetry. 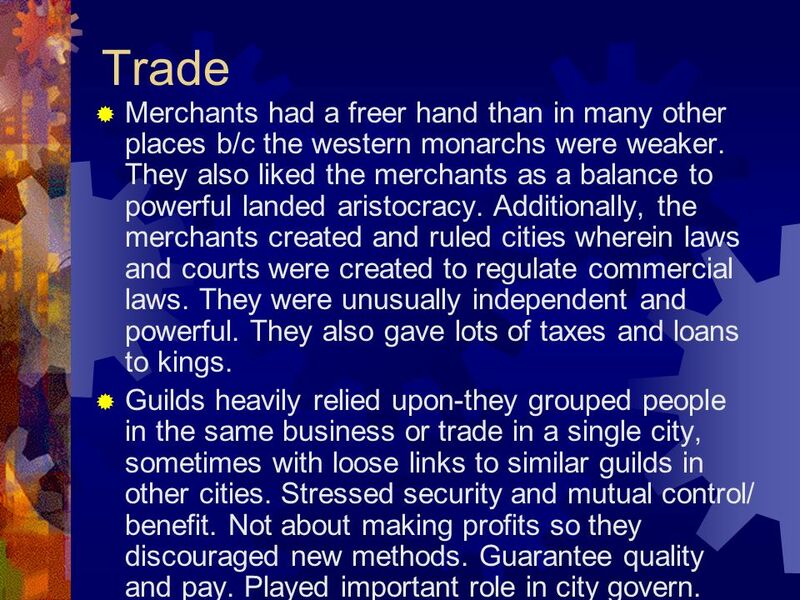 38 Trade Merchants had a freer hand than in many other places b/c the western monarchs were weaker. 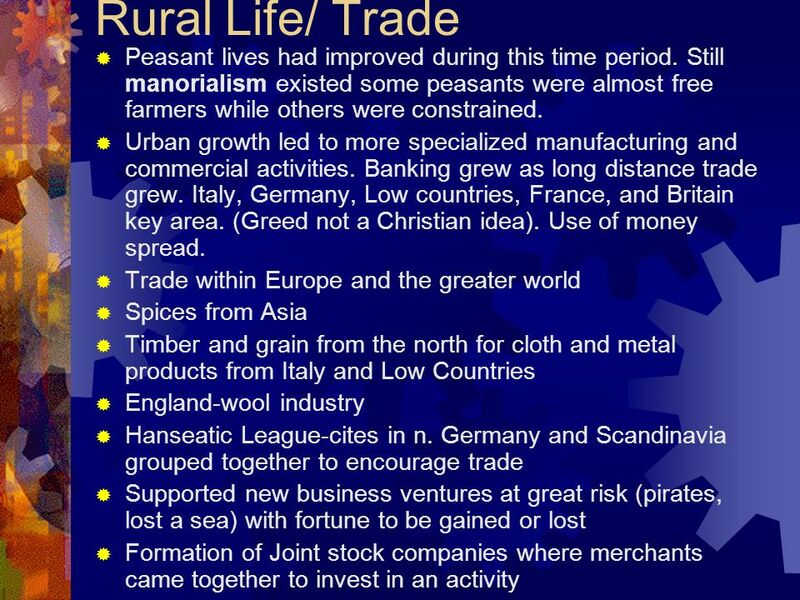 They also liked the merchants as a balance to powerful landed aristocracy. 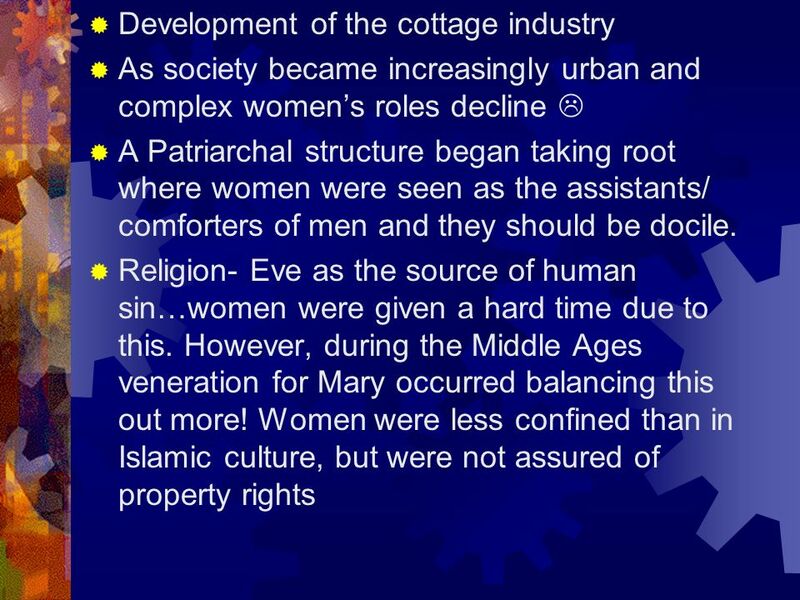 Additionally, the merchants created and ruled cities wherein laws and courts were created to regulate commercial laws. 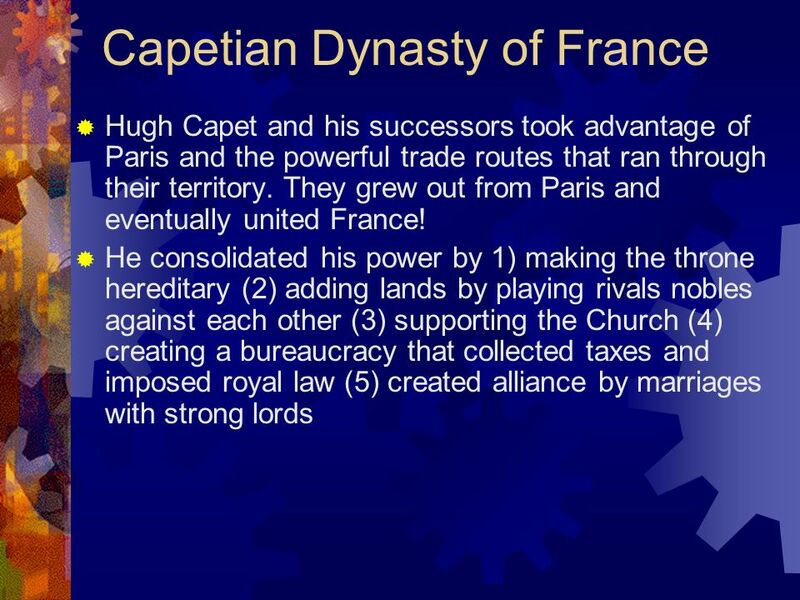 They were unusually independent and powerful. 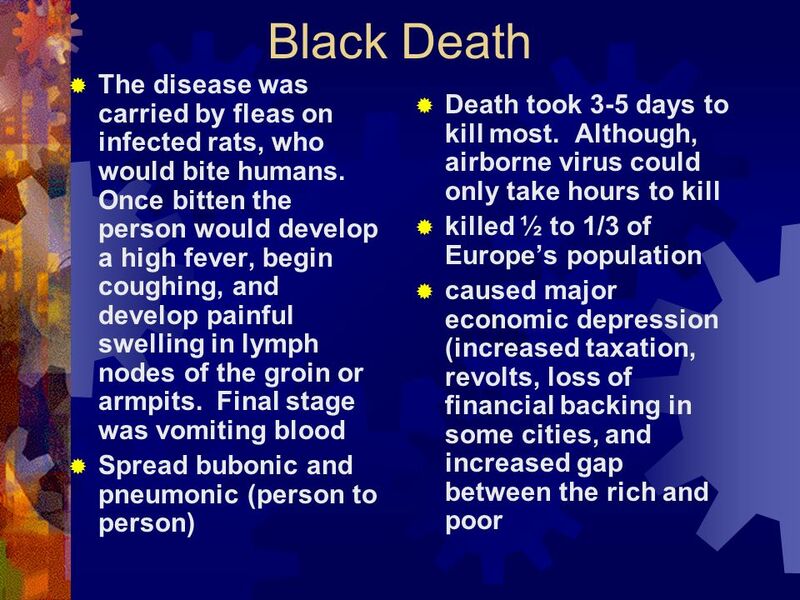 They also gave lots of taxes and loans to kings. 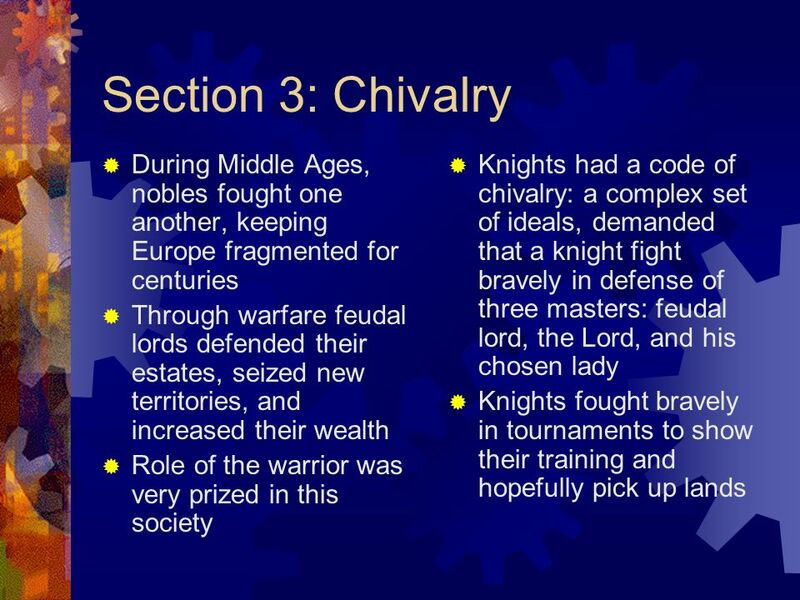 Guilds heavily relied upon-they grouped people in the same business or trade in a single city, sometimes with loose links to similar guilds in other cities. Stressed security and mutual control/ benefit. Not about making profits so they discouraged new methods. Guarantee quality and pay. Played important role in city govern. 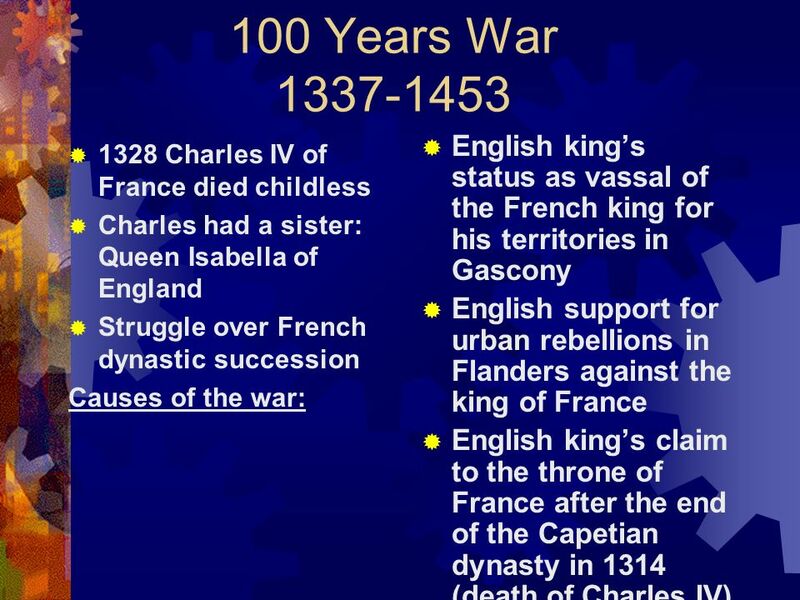 Hundred Years War: war between France and England over control of lands. France won, but no one really one. 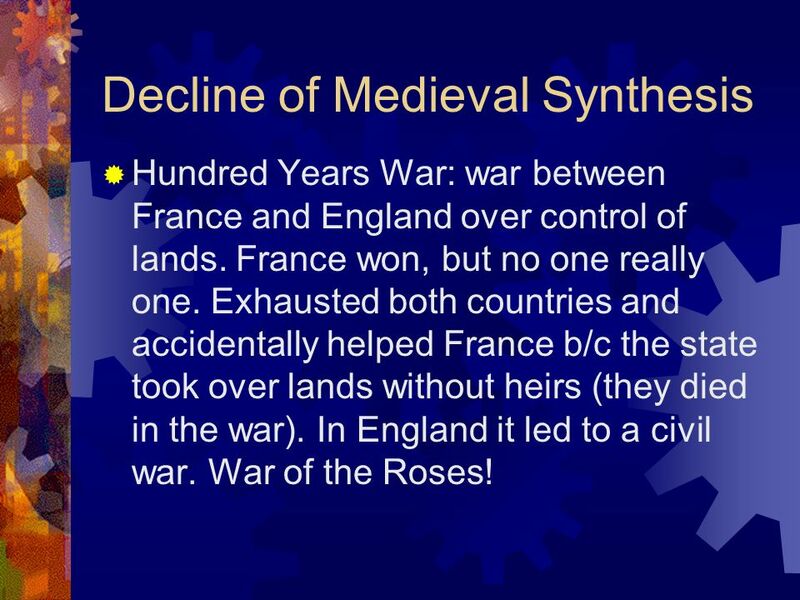 Exhausted both countries and accidentally helped France b/c the state took over lands without heirs (they died in the war). In England it led to a civil war. 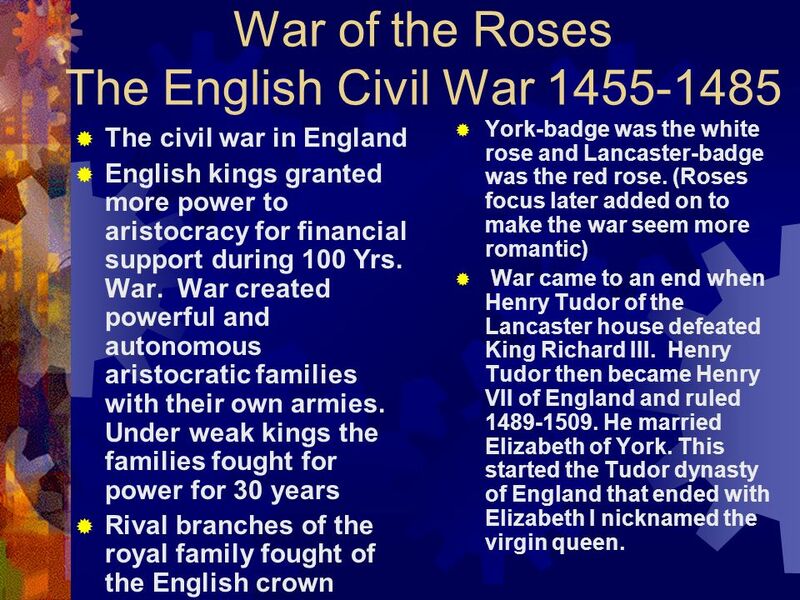 War of the Roses! 51 Jan Hus-rejected much of what Wycliffe thought, but did agree that indulgences were not good. 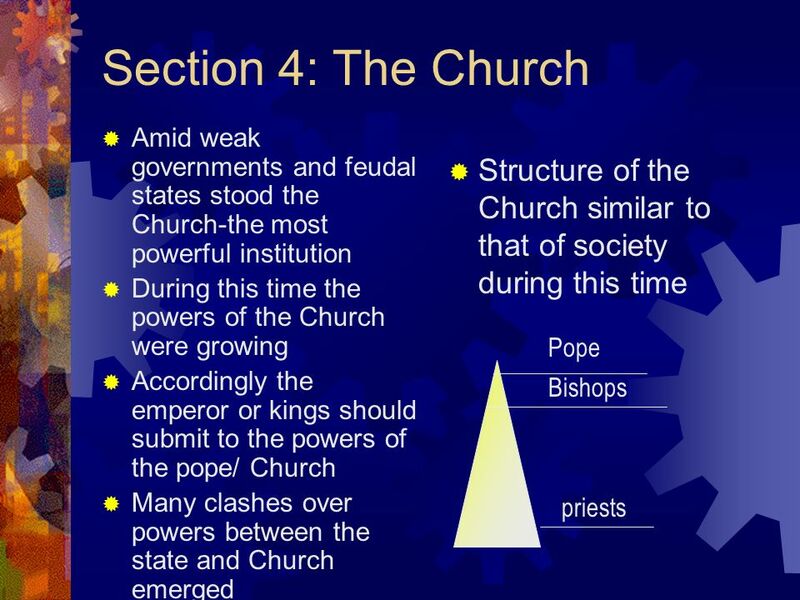 He called for Church reform of liturgy and morals. 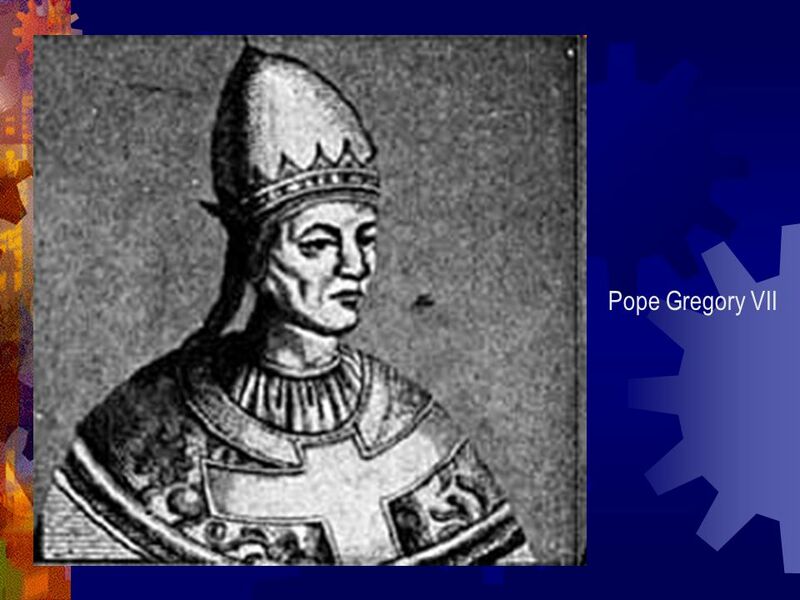 Both pope XXIII and Bohemian king Wenceslas IV were outraged! Hus was excommunicated and found guilty of heresy. He was burned at the stake! 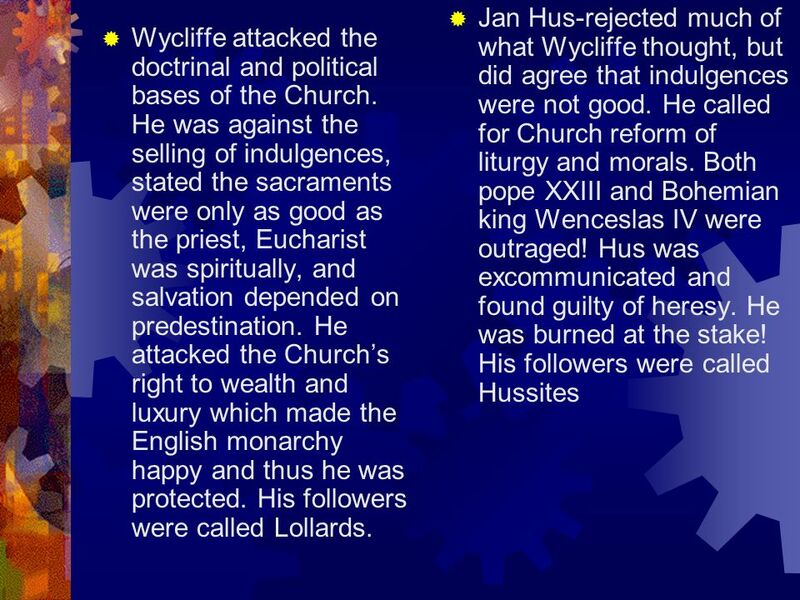 His followers were called Hussites Wycliffe attacked the doctrinal and political bases of the Church. He was against the selling of indulgences, stated the sacraments were only as good as the priest, Eucharist was spiritually, and salvation depended on predestination. 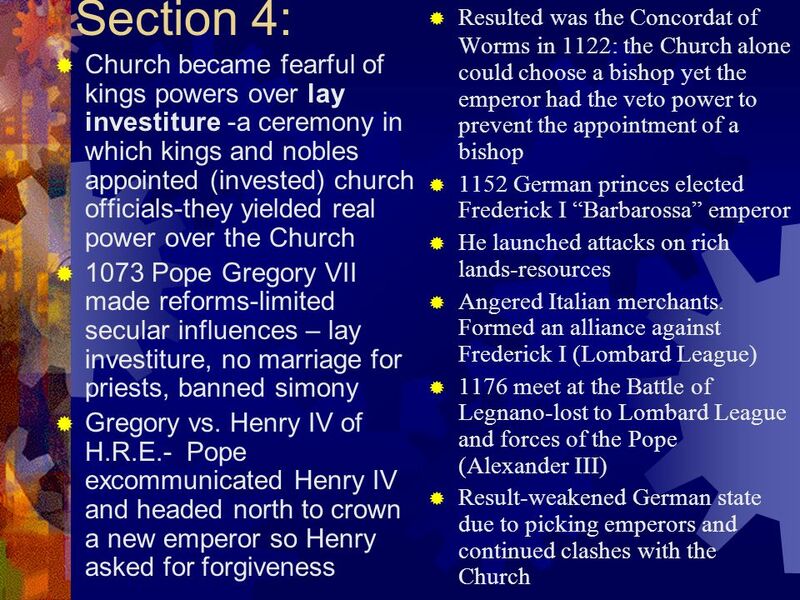 He attacked the Church’s right to wealth and luxury which made the English monarchy happy and thus he was protected. His followers were called Lollards. 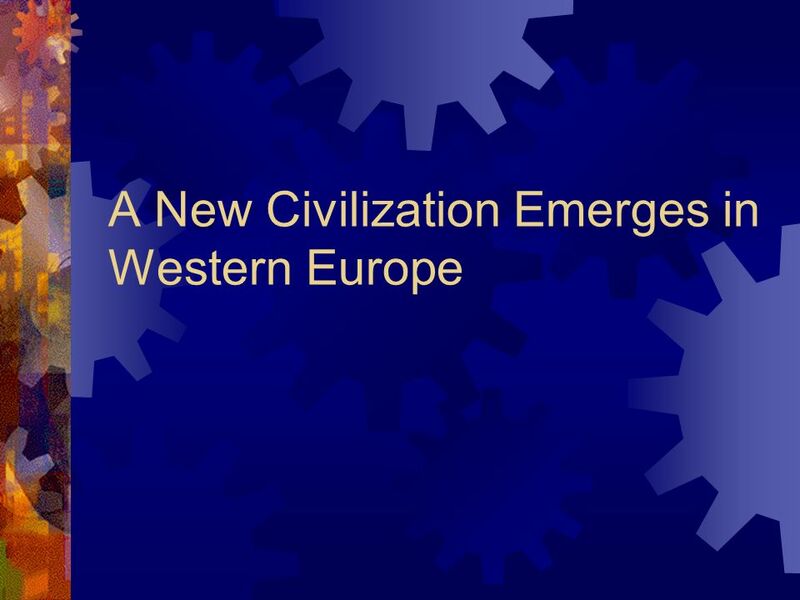 Download ppt "A New Civilization Emerges in Western Europe"
The Formation of Western Europe Size of the forces involved; the number of casualties (dead and wounded) The major “players” involved, whether. 476 A.D.480 A.D. After the Roman Empire fell in the west, Europe was taken over by Germanic Kingdoms (barbarians). 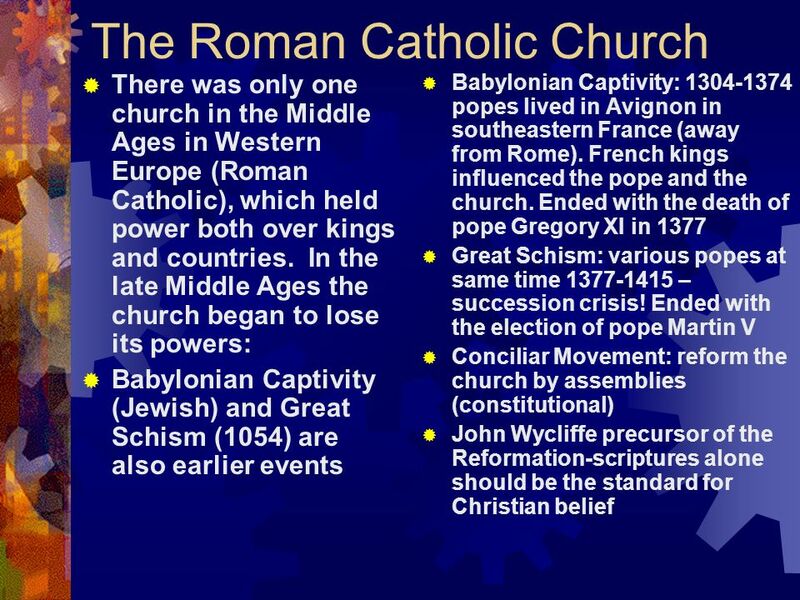 Rome remains a center of the Christian. 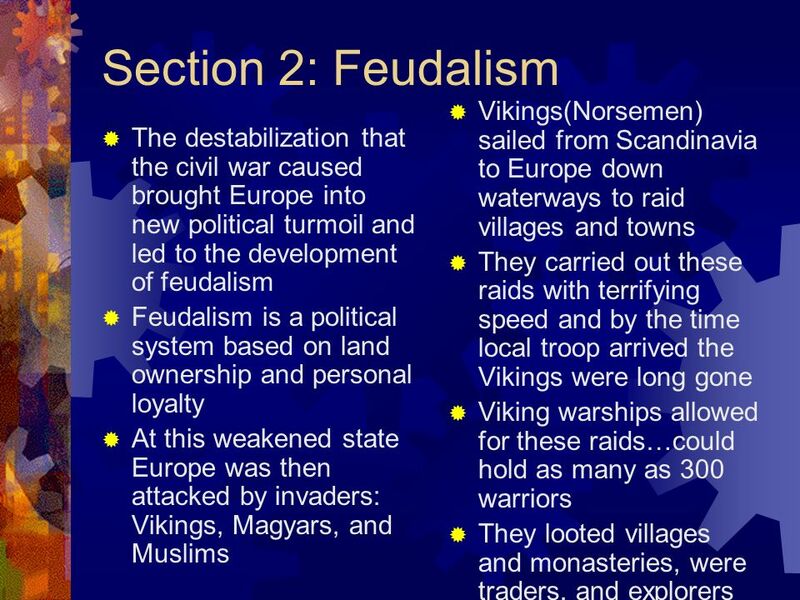 UNIT 2 – THE MIDDLE AGES Chapter 13 – European Middle Ages Chapter 14 – the Formation of Western Europe. Middle Ages: 500 C.E. 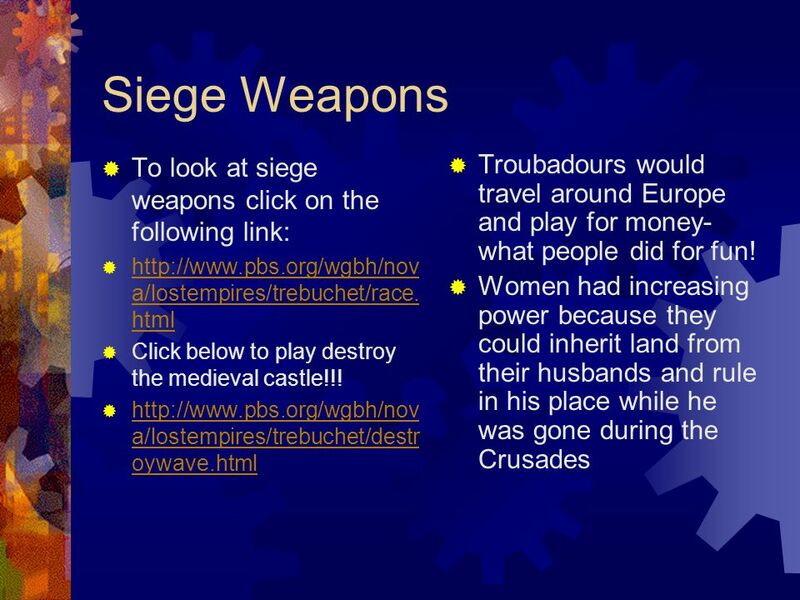 – 1500 C.E.Middle Ages CH. 13. 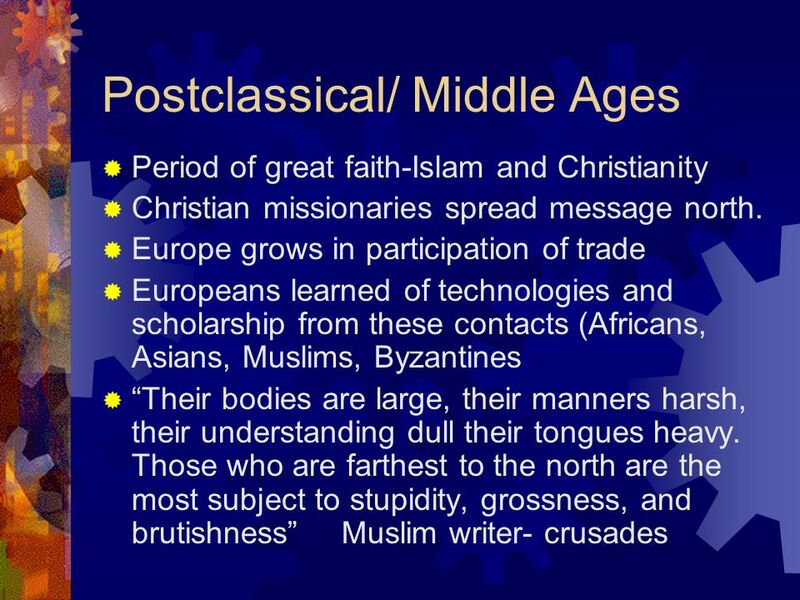 THE HIGH MIDDLE AGES “The Age of Faith”. SOCIAL SCIENCE III. 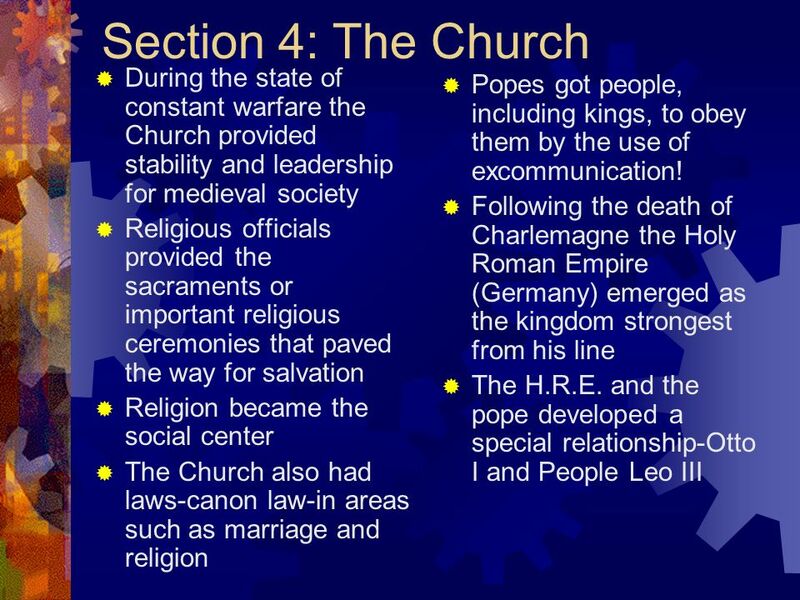  MIDDLE AGES  FEUDALISM  CHIVALRY  THE CHURCH as a powerful institution ▪ REFORMS AND CRUSADES  THE RENAISSANCE  THE REFORMATION. 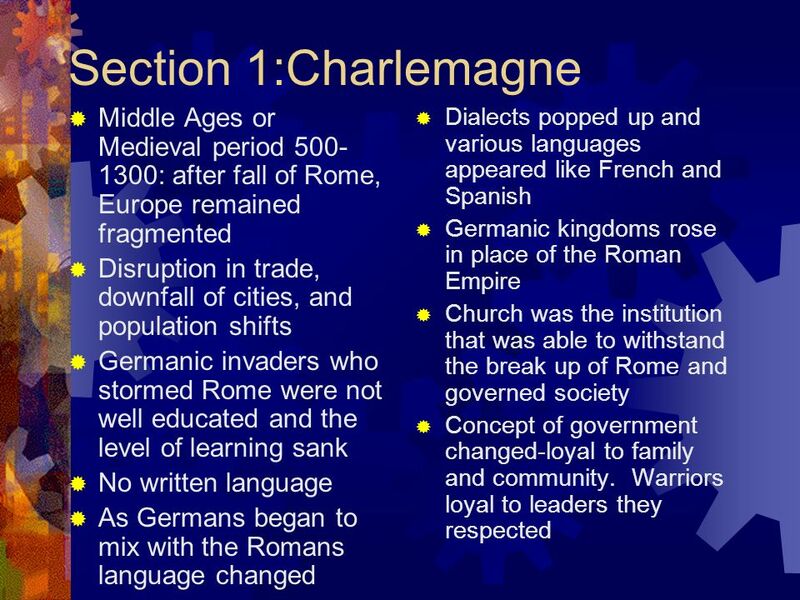 Germanic Kingdoms Unite Under - Charlemagne Medieval Europe. 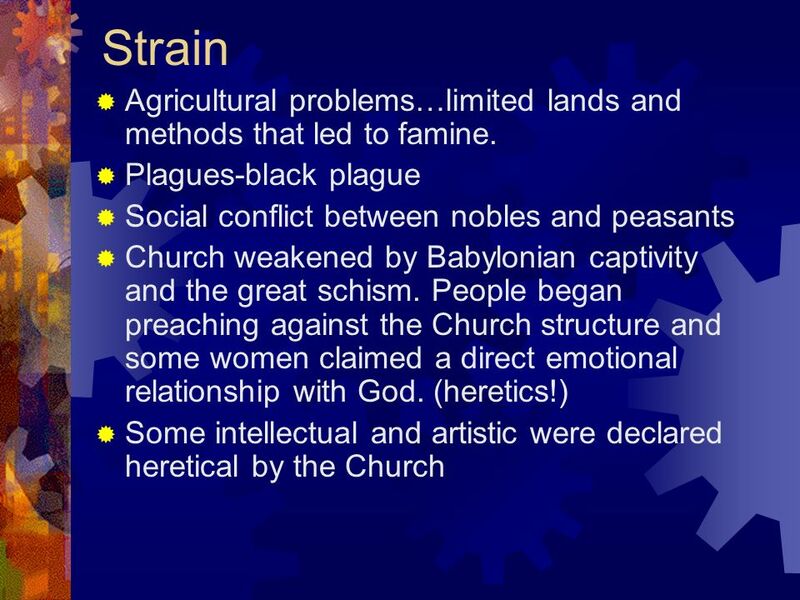 Early Middle Ages 500 to 1000 A.D..
+ The High Middle Ages (1050-1450). 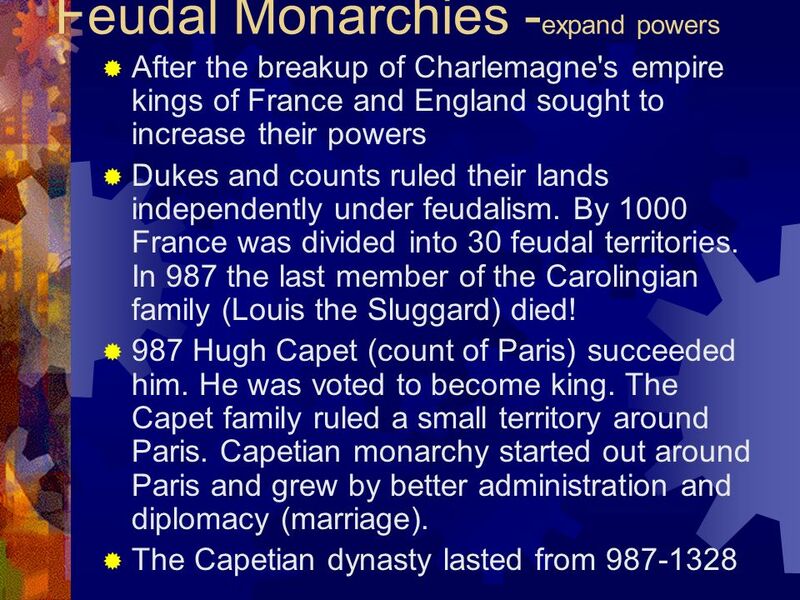 + Growth of Royal Power in England and France What are monarchs? Monarchs struggled to exert royal authority over.